Howdy! 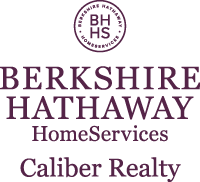 I’m Nathan Cook, Broker Associate with Berkshire Hathaway HomeServices Caliber Realty in College Station, TX since 2002. I’m privileged to be married to my wife, Janna. The Lord has blessed us with two children who have a rambunctious zest for exploring their world. They certainly keep life interesting for us. In addition to serving my real estate clients (I would be honored to serve you, too! ), I have the opportunity to be the 2018 President of the Bryan / College Station Regional Association of Realtors. This is an outflow of desire for community service, especially through the political process. I'm actively involved in my church having been a member for 30 years. My wife and I have been members of Toastmasters International since 2011 and 2002 respectively. We have deeps roots in this Brazos Valley that we call home. Home Sellers, I’ll use my understanding of people and understanding of Bryan / College Station real estate to help you negotiate your home selling needs for top dollar! Home Buyers, as your Buyer Representative, I'm prepared to ask you the questions you'll need to get the best deal possible. Question for you...! Are you looking to buy your next home or sell your house? Is it time to consider relocating, whether across town or across the country? Would you like to know an easy way to stay on top of new listings when they come on the market, or how to get the highest price in the least amount of time for your house? Then, let’s talk! If I could show you a way to get what your home is worth, would you be willing to hear me out? My number is 979-324-8844 or nathan@nathan-cook.com.